Our cherry shelves are finished with a hand rubbed natural oil finish. Our stained white oak shelves are finished in your choice of 9 beautiful stains. 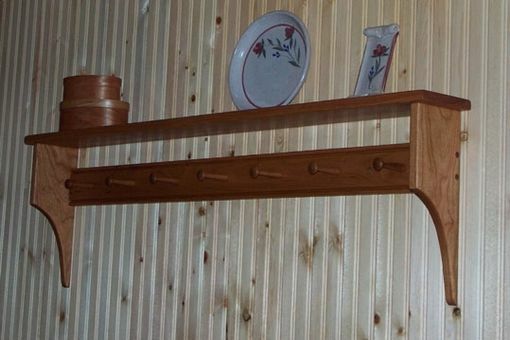 Our hard maple shelves are finished only with a clear finish. Our painted shelves are built from Poplar in your choice of 56 Milk paint colors. AND we also now offer 3,645 Benjamin Moore paint colors!